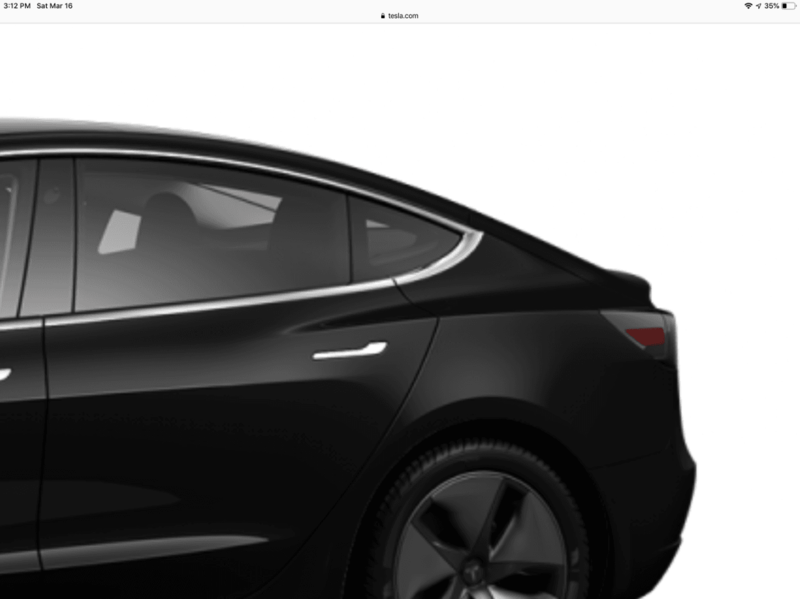 Is It A Model Y Or A Modified Model 3 For Tesla? 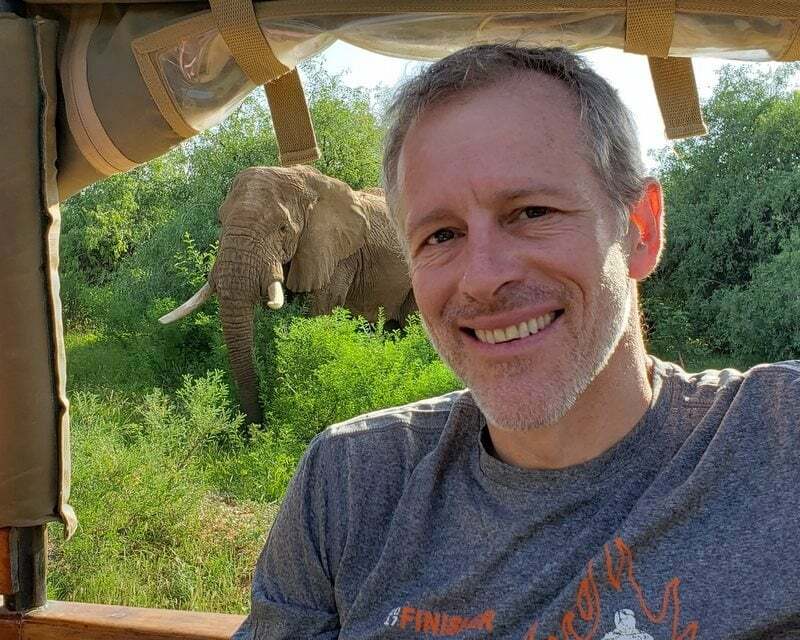 Whitney Tilson’s email to investors discussing the Model Y reveal which looks like a modified Model 3, and shares a positive article. 1) Glenn’s pics below showing the scam. 2) But what about the test drives? Glenn responds: People were given 30 second rides in darkness. No one was allowed in the back seats. The lift gate was not allowed to be opened. I'm a bit skeptical of this, at least most of it. I think the blue one was the most recent Model Y concept car indeed. However, the white one was an earlier (the next step earlier) concept version of the Y. It has different rear lights, among other things. 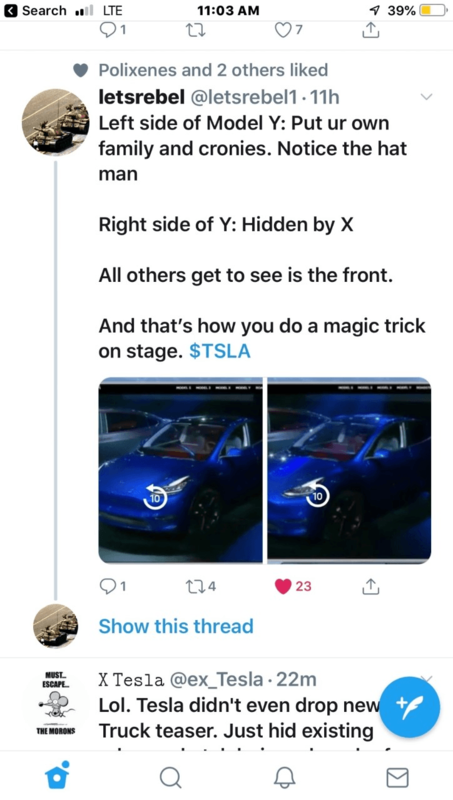 They did the same thing at the Model 3 reveal on March 31, 2016, as well: The 3 units of the Model 3 shown on stage were all different from each other. One of them didn't drive at all (just like the white one from the Model Y reveal), and they had different door handles and wheels, among other few details. It really doesn't mean all that much. What it means is that Tesla, unlike other automakers, is simply hurrying forward their reveal date to a point where they have the bare minimum to show. They did this because of an impulse to borrow from the future, in order to pump things in the near term. Other automakers don't have to do this, and never do it that way. They wait until they have something more consistent to show, unless it's a pure concept car. 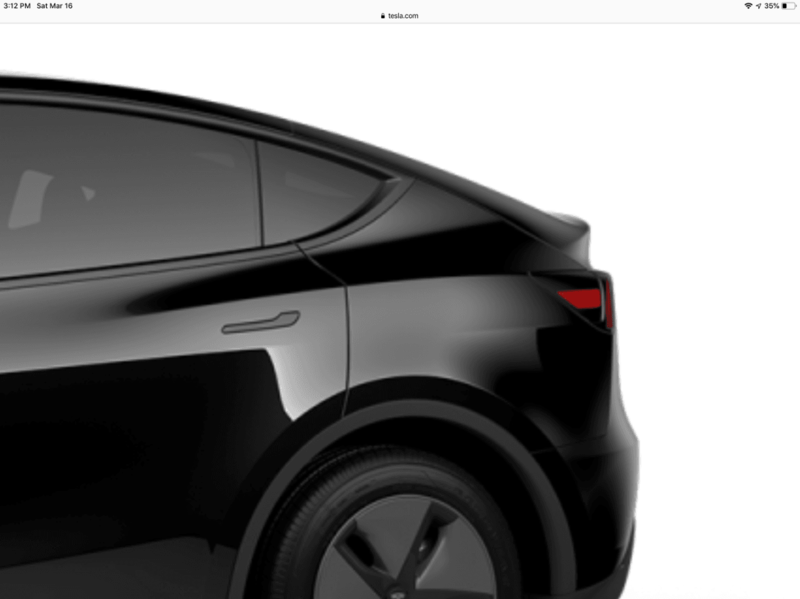 All this means is that the Model Y development program, while having decided on close to 99% of the design elements, is not as far along as an automaker should be when they take orders (!) and equivalent. I wouldn't call this a scam. I'd call it a company that is showing things prematurely given the nature of what the company is claiming and saying on stage. 3. Potentially other legal issues. 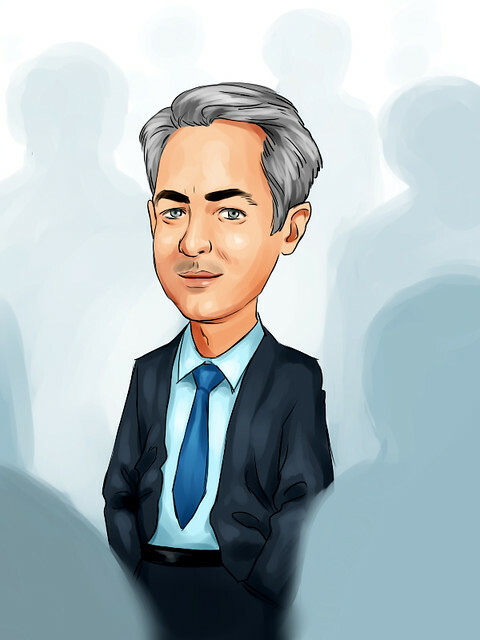 That makes the current risk/reward of being short, the very best I have ever seen in all my years of studying this company every waking hour. Here is the door difference which is the distinguishing characteristic between the 3 (First image) and the Y. 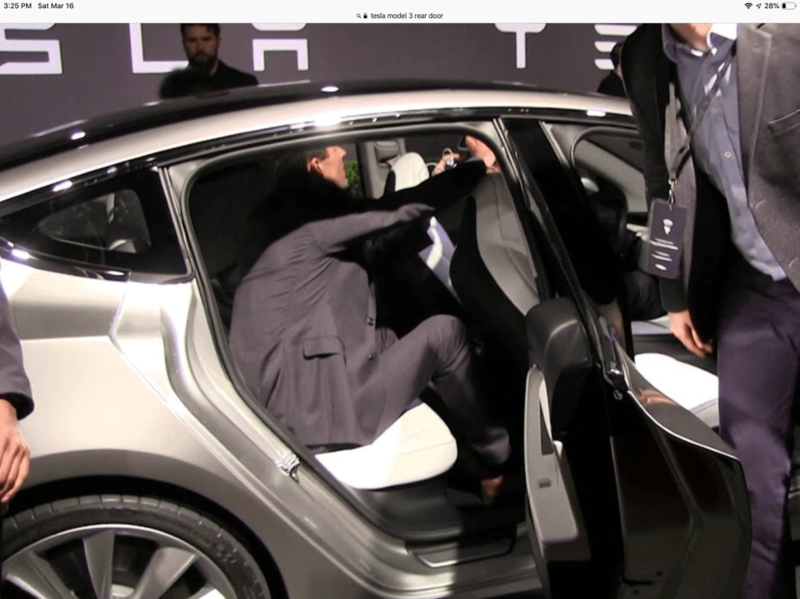 Why design an suv that has no greater access? You wouldn’t. I think the blue car was simply a bodywork modified model 3. Also note there are no gaskets in places that make sense. Never let it be said that I won’t send out something positive about Tesla (see article below). I’m in SF with 6 cousins and there are a ton of Teslas out here – and they are very good looking cars. Also, two of my cousins say they’ve always wanted to own one, so they’re planning to check out the low-end Model 3.